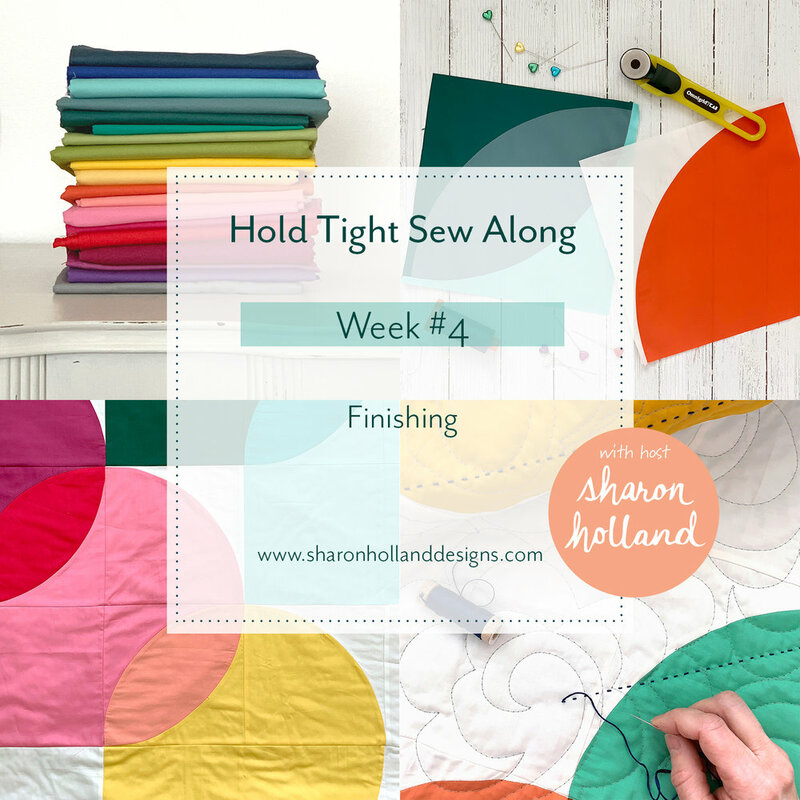 The following videos are companion turorials for the Hold Tight quilt pattern for purchase in my Shop and additional support for the Hold Tight Sew Along event running March 20 - April 10, 2019. Tips for trouble-free downloading: Click on image to download the free PDF. If you're experiencing difficulties downloading, make sure your computer is set to allow pop-ups from this site. Your PDF will pop up in a new window and be ready to download from the Adobe prompts. Welcome to Sharon Holland Designs and the Community Sampler sew along. Download the free PDF patterns from this page and be sure to take advantage of the in-blog tutorials for the different patchwork techniques used throughout the event. 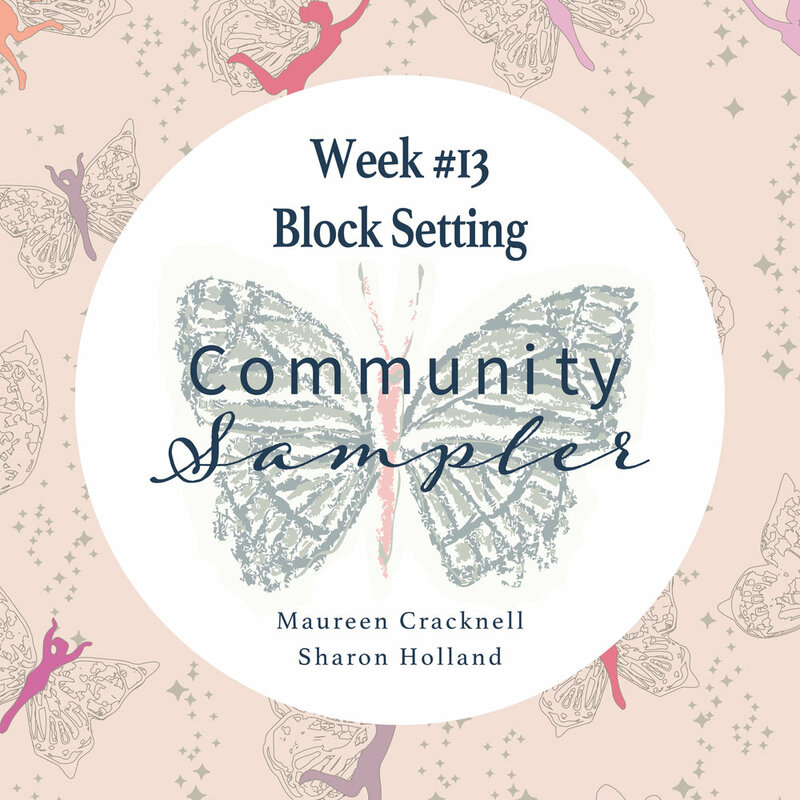 Pick up tips and block variations beginning with the first blog post Community Sampler Week #1 and then follow the thread of posts to the present. 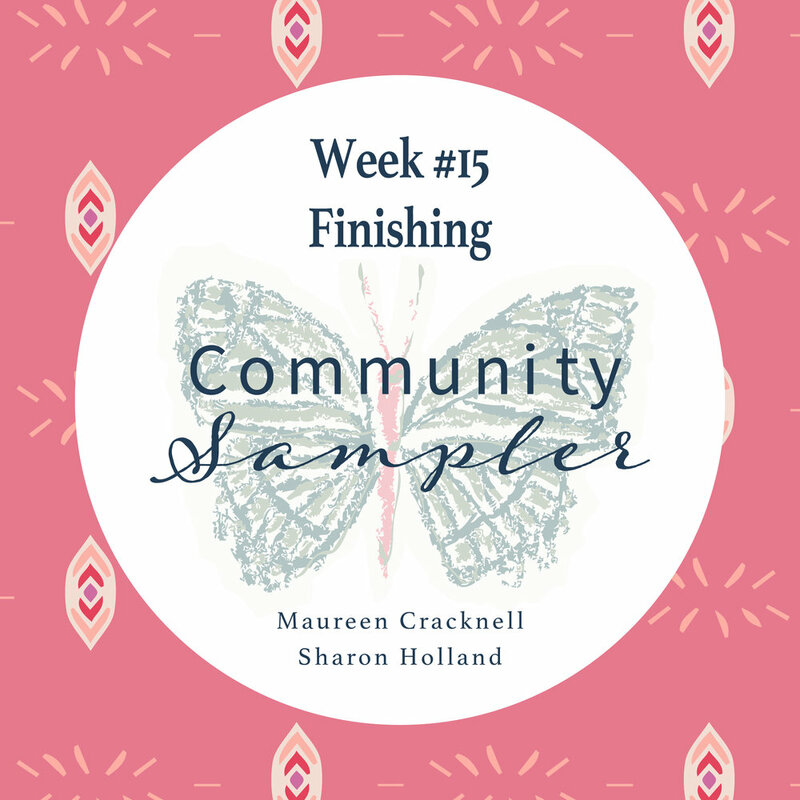 The Community Sampler sew along is a free, virtual sewing bee and a fun way to try a variety of quilt block designs and piecing techniques, as well as an opportunity to connect with other quiltmakers via a social media platform. My sister Art Gallery Fabrics designer and very good friend Maureen Cracknell and I are co-hosting this event over a 16-week period, beginning February 21st, 2018 with finale reveal on June 30, 2018. 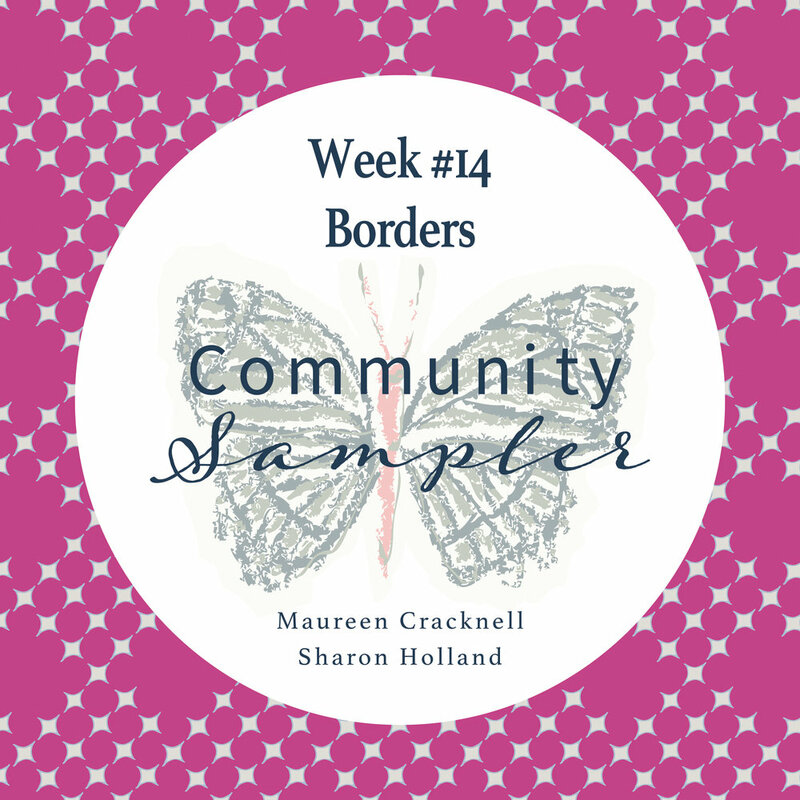 Feel free to join in the fun at any time and share your makes along with the #CommunitySampler hashtag on Instagram. 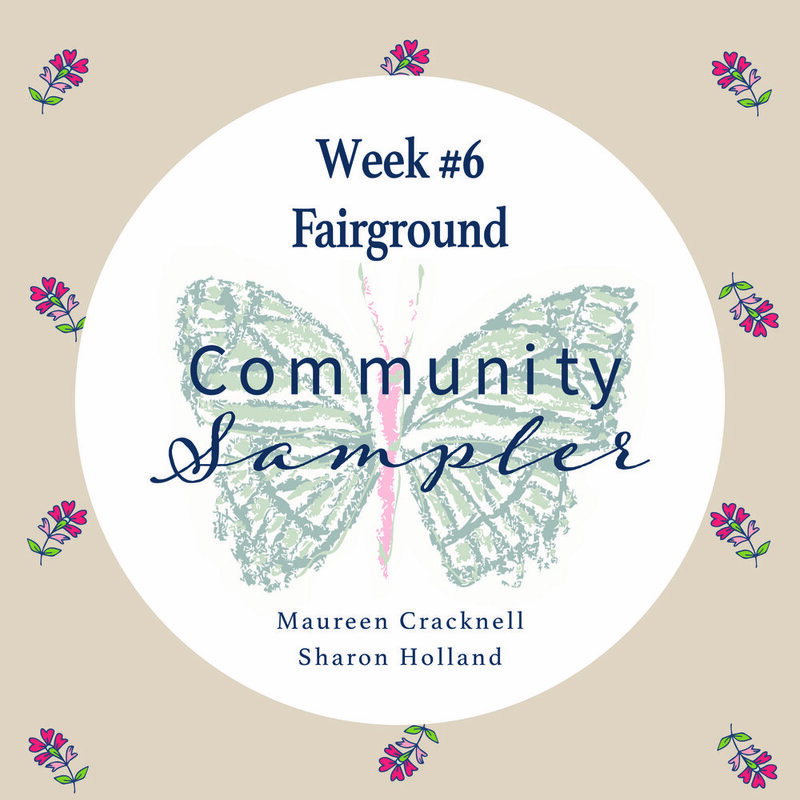 Read more about this and the sponsored prize giveaways on any Community Sampler related posts on this blog or on MaureenCracknellHandmade blog. The Sewcial Bee Sampler sew along is a free, community sewing bee. This will be a fun way to try a variety of quilt block designs and piecing techniques, as well as an opportunity to connect with other quiltmakers via a social media platform. My fellow Art Gallery Fabrics designer and very good friend Maureen Cracknell are co-hosting this event over a 26-week period, beginning February 1st, 2017 with finale reveal on August 2nd, 2017. Feel free to join in the fun at any time and share your makes along with the #SewcialBeeSampler hashtag. 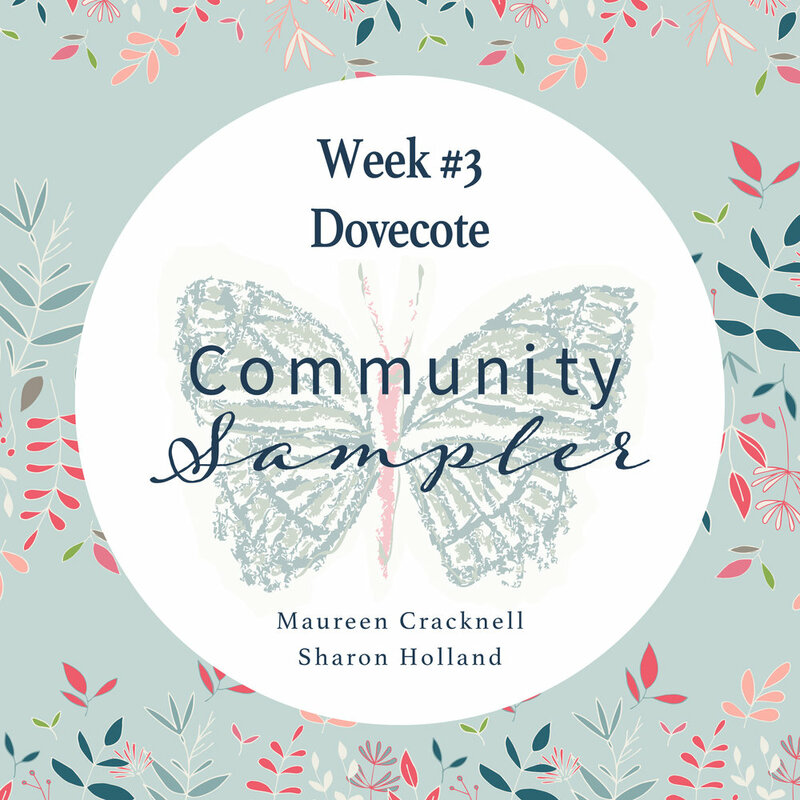 Read more about this and the sponsored prize giveaways on any Sewcial Bee Sampler related posts on this blog or on MaureenCracknellHandmade blog. If you've just found us and want to make the Sewcial Bee Sampler quilt after the event has ended, you may want to take advantage of the in-blog tutorials for the different patchwork techniques used throughout the Sewcial Bee Sampler. Pick up tips and block variations beginning with the first blog post The Start of Something Sewcial.